Routing through the whisky archive this week, Dave Broom discovers three exceptionally rare bottlings, including the first Port Ellen he ever tasted, and two collectible Macallans – one of which was bottled under a pseudonym. Since its humble beginnings as a small farm distillery, Macallan has grown to become one of the most recognised single malts in the world. The site was continually expanded during the mid 20th century until its stills totalled 21 by 1975. 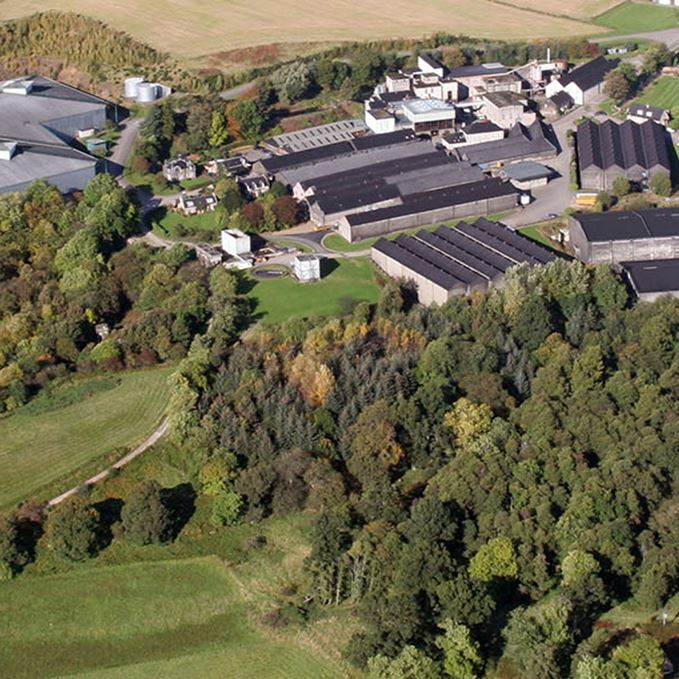 Both bottlings uncovered this week were distilled when Macallan operated just six stills, and were bottled during the 1980s – a momentous period for the distillery. Overambitious production of spirit during the 1970s had led to a downturn in the market for malt fillings for blends. 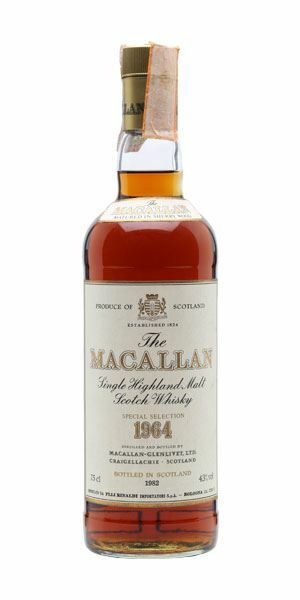 Faced with declining sales then owner, the Kemp Trust, turned its attention in the early ‘80s to establishing Macallan as a global single malt brand. 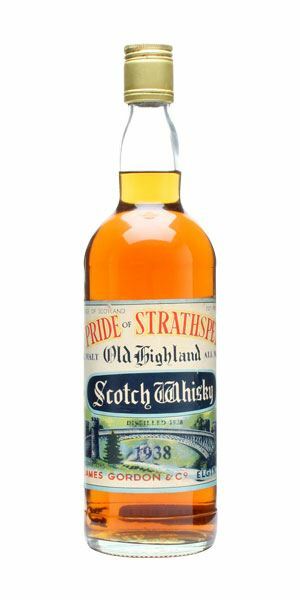 During a period in the late 1980s early 1990s when Macallan refused to allow Gordon & MacPhail to bottle its whisky under the distillery name, the firm simply created a raft of different names, such as the Pride of Strathspey below, and kept on what it had been doing for decades. A quick calculation means that this particular botting was between 40 and 50 years old when it was bottled. 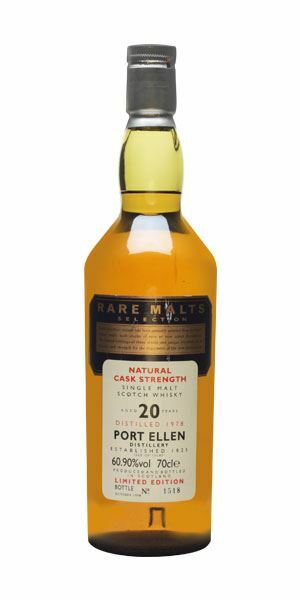 Port Ellen’s fate as a rare and much sought-after malt began in 1983 when owner Distillers Company Ltd (DCL) closed the plant. Inevitably, as stocks have dwindled over the years, the market value of Port Ellen bottlings has risen astronomically. Although the Rare Malts bottling below was one of the first ever sampled by Mr Broom, it would have been among the last produced at the doomed distillery as it closed its doors forever just five years later. Deep amber. Huge and polished, but there’s also immediate cherry/peach stone and exotic fruits. Opens into waxy (almost soapy) elements with a touch of cheese, then dried orchard fruits. It manages to be both big and robust and sweetly fruity: think stewed rhubarb, lime jelly cubes, peach syrup and that signature burnt edge. In time – and I mean 40 minutes plus – comes a hit of pure palo cortado Sherry (not cask) before it mellows down into toast and marmalade. Sweetness furthers with water. Medium weight. Caresses the tongue gently with more of those cherries, this time the flesh. It does however continue to sit on the cusp between wax and soap. The tannins are very supple tannins. Becomes slightly powdery and more pineapple-like, then gentle savouriness. Remains firm at its core which stops things getting out of control. A light touch of glue (UHU in a tube if you’re interested) and then masses of soft fruits once more. That mix of elegance and a slightly wayward wildness is very Macallan. A lovely, complex dram which contradicts the belief that all old Macallans were Sherry bombs. This has refinement and elegance a-plenty. OK… where to start? This is like intruding into a salon in which a serious and sophisticated conversation is taking place. You realise you’ve slipped through some wormhole and have been whizzed back in time. It speaks so much of the past, of rarified elegance, that a list of aromas would appear unseemly. This is one of those whiskies which is about how aromas can conjure vivid pictures: pollen from day lilies falling onto polished walnut, late Victorian perfumes hanging heavy in the air, candied fruits in silver bowls, the scent of the rose garden leaning through the window and, in an hour or so, the staff beating carpets behind the house. Quite who brought in the coconut I know not. There’s the classic sweet tropical and orchard fruits obtained through time and subtle oak. In contrast to the nose the palate takes you into a darker area: not only fruits but a growing savoury/ leather quality reminiscent of old book bindings, glue, tallow, and smoke. It dries. A little short, but after that nose I really don’t mind. Strangely, an almost Bourbon-like bite and distinct peppery/clove spice finishes things off. Every so often you are privileged to taste something extraordinary. This is how great whisky can be. How did you like your tea and cake Mr Proust? Light gold. A pretty classic opening, heavy with oils – cod liver oil especially– and seaweed. There’s sweetness, but also a mix of almond essence and increasing, overt, smokiness. It is like standing at the maltings – the smoke from the kiln whiffs of fuel. It then shifts into Ralgex-scented changing rooms and, finally, wet pebbles. Best neat as water makes things a little too nakedly exposed. Bold entry with massive parma violet and, as you might expect, a rich and oily palate that clings to the tongue before the smoke decides it’s had enough, dries, and lifts free. As it flies up, so an increased saltiness begins to come through along with citrus and peppermint. There’s no burn and it is easily drinkable neat, which it should be as water brings out a steely edge. This was among the first – if not the first – Port Ellen I ever tried which also means at one stage I could afford it. Remains a classic example. Standing at Port Ellen ferry terminal as the boat departs. Rare Batch 6 27/04/2016 In preparation for the Speyside whisky fest, Dave has chosen three rare Speysiders from the vault.